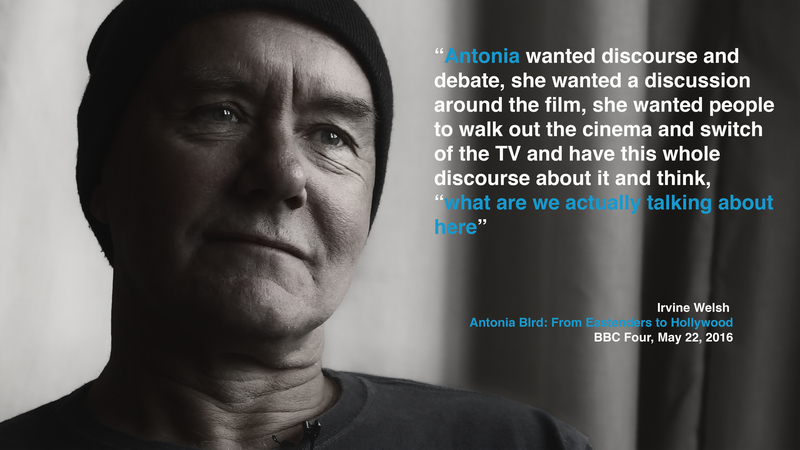 So, just back from London Town to see the Antonia Bird documentary premiere at the National Film Theatre. 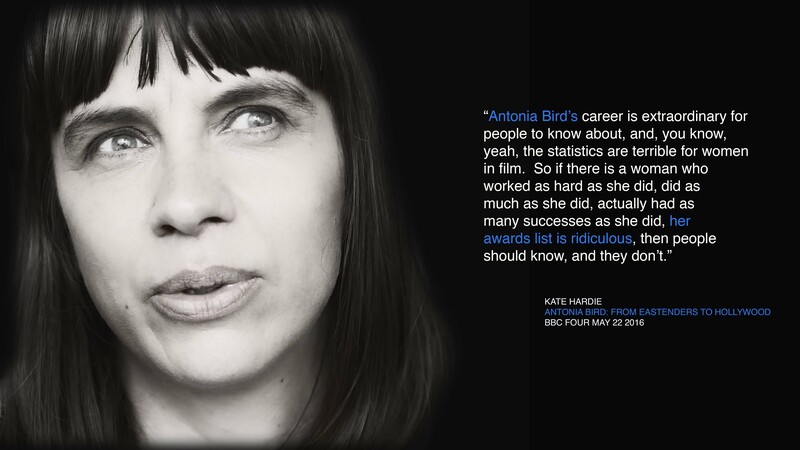 The culmination of two year’s intensive research and filming, the documentary charts the development of Bird’s career; her moves from theatre to television and to film in the UK and in Hollywood; her politically motivated approach to film-making and to storytelling; her gifts in working with performers; and her particular blend of highly emotive and engaged social critique. The documentary represents an astonishing achievement not least as, at the time of Bird’s death three years ago, there was almost nothing about her work in the public domain, and what little there was incomplete and often wrong. Director, Susan Kemp’s film forms part of a broader project she’s been involved in with film maker Mark Cousins (a close friend and collaborator of Bird’s) and producers Mary Bell and Adam Dawtrey, aiming to document Bird’s legacy and find the space her work deserves with audiences and within our understanding of British film and of the contribution of often neglected women authors. The screening launched a season of Bird’s films ‘The Woman Who Kicked Down Doors’ curated by the BFI which recognises her as a trailblazing artist. The BBC who funded much of Bird’s work will also screen Susan’s film on May 22nd. Given how little material there has been available on Bird and her work, one of the most notable elements of the film is its success in uncovering, analysing and opening up her motivations, her aesthetics, and her career trajectory – a career path that, as the film, shows was diverse, divergent and seldom straightforward. The benefits of this openness of approach can be seen on screen. Susan’s interviews captures both spontaneity and immediacy from her respondents, rather than replicating the sometimes slightly laboured feel we’ve all picked up from reminiscences shared first with researchers and producers, then reproduced on cue for camera. 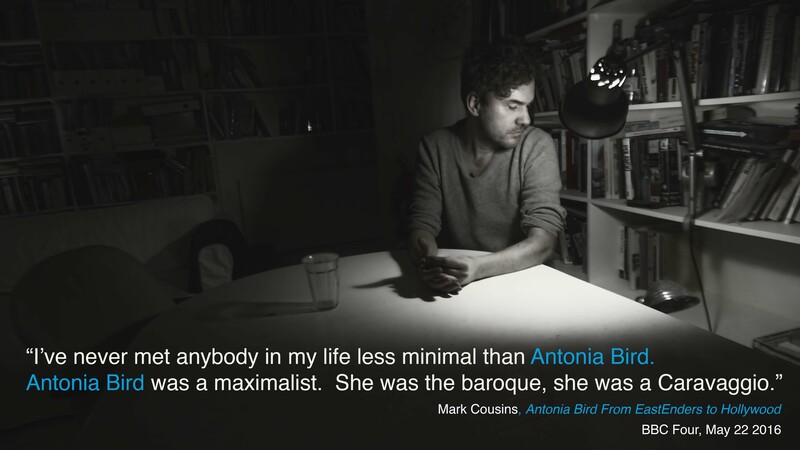 It also powerfully catches at the sense of loss felt by the many people who worked with Antonia; the loss of an individual loved by many and also the loss of a distinctive and penetrating voice. The admiration Bird evoked in her collaborators is clear in the documentary and was also much in evidence in the attendance on Thursday. In the green room beforehand the warmth and affection felt for Antonia was palpable. As well as enjoying earwigging in to the stories and memories exchanged between actors, composers, producers and writers there, for the first time I had a proper sense of the various kinds of responsibility attaching to a film like this. Throughout the project Susan has been determined to do proper justice to Antonia Bird’s life and work as well as facing head on some of the really complex questions as to why in her career Bird did not always manage to make the work she wanted to, and why the work she did make has been so neglected. With so many key players crammed into a small, hot space (the NFT green room has a freaky mirrored ceiling like something out of dodgy 70s ‘arthouse’ erotica) I got a real feel for what a tough audience this might prove to be. Susan says that when, early on in the documentary, cheers and applause greeted the cleverly sourced archive of a young and bushy brown bearded Jeremy Corbyn she knew she was going to be alright. And she and her film were a lot more than alright. One highlight for me was Anita Dobson (the legendary Angie in EastEnders) commenting from the platform “I don’t think I’ve been so moved by a documentary about someone’s work ever”. This was followed by responses from the floor hailing the film as ‘profound’, ‘necessary’ and ‘important’. The look of the film was much admired with one or two smarty pants picking up the way its form draws on Bird’s preference for the big close up and the drama of the human face in action. There were also moving stories from the floor of the unrecorded contributions Bird made to the work of many others, actors turned directors, and younger women directors, reinforcing two key strands within Susan’s film – film authorship as something that is always collaborative, often provisional, and made up of visible and invisible elements; and also demonstrating how Bird’s politics of engagement and solidarity found many expressions. All in all it was a very uplifting evening, celebrating an extraordinary woman and her body of work, and showing the capacity of documentary film at its best to work as archive, as analyst, and as catalyst. 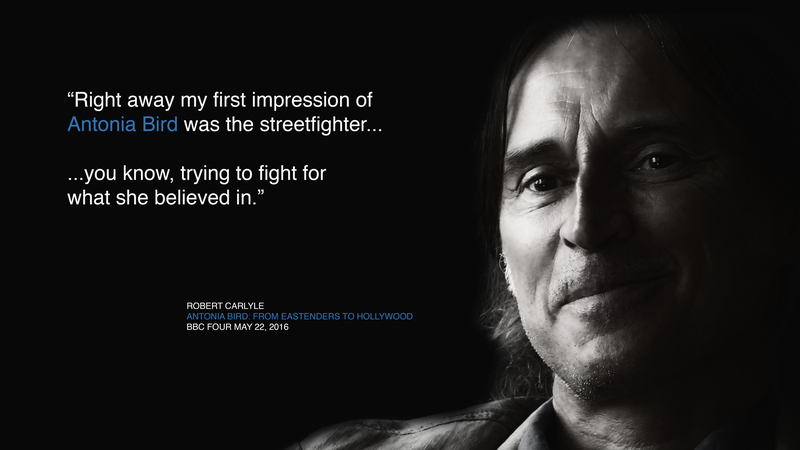 And we can all get a chance to see it soon – TX BBC Four Sunday 22nd May 2100. 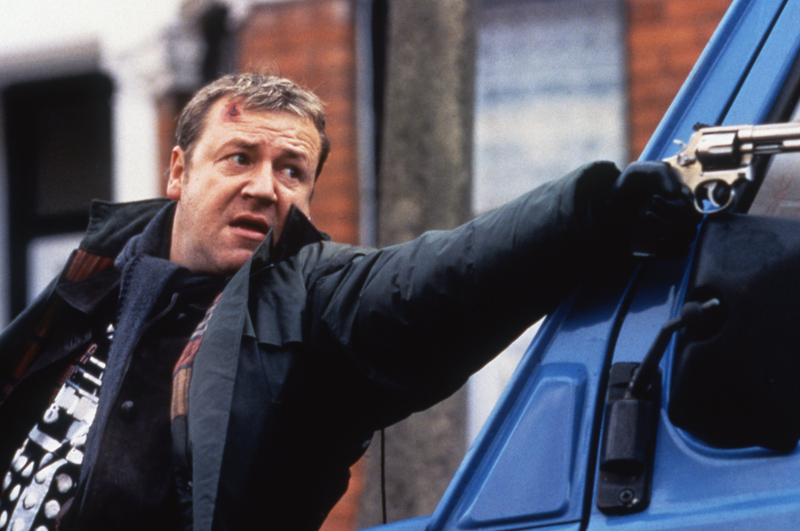 One of the UK's greatest directing talents. Antonia Bird: From EastEnders To Hollywood is part of a tribute night to the director on BBC Four on the evening of 22 May, which includes another chance to see one of the most famous episodes of EastEnders, featuring Den and Angie, first broadcast on 16 October 1986, and directed by Antonia Bird, in addition to Care, a Bafta-winning drama about a young man struggling to piece his life together after years of abuse in a children's home.